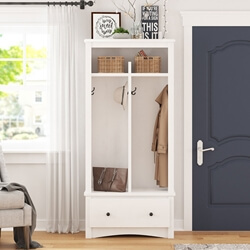 They say that, “A house is made with boards and beams, but a home is made with love and dreams,” and nothing lets your imagination be more homely than a nice piece of entryway furniture. At Sierra Living Concepts, we understand the importance of personalizing your homes from the get-go, which is why our foyer furniture impersonates the best of pragmatics, durability, and timeless looks. 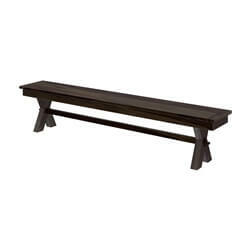 This genre consists of console tables, hall trees, and storage benches. 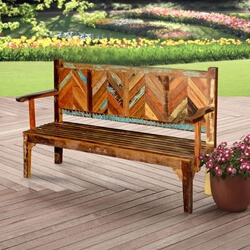 Each piece is lovingly handcrafted and assembled by the most skilled artisans. Every tiny detail and intricately carved piece is made to imbue your home with warmth, style, and trendiness. Sierra’s entryway furniture is unique because it is made 100% from solid wood so aside from its unfettered grace and elegance, you can enjoy its everlasting heirloom quality. 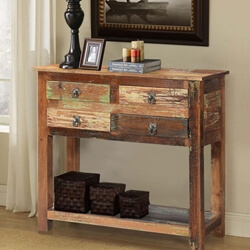 Since homes vary from small to large, our entryway furniture is designed for both big and compact homes. Every time you step into the foyer, you’ll feel like you’ve entered your little slice of haven because furnishing with Sierra’s pieces will suit all your functional and visual needs. 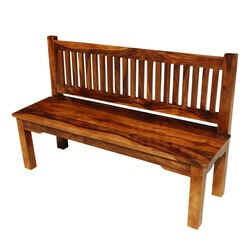 You can even customize the designs, the wood genre and, also, the hand-rubbed stain to suit your spaces. 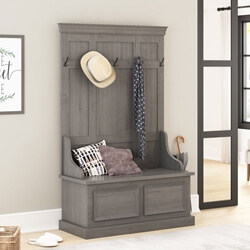 If you’ve got a large family that participates in a lot of activities or if someone is always on the move, then you can furnish your entryway with a large hall tree from our collection. From traditional to modern, wide to small, we’ve got every style to complement your home interiors. 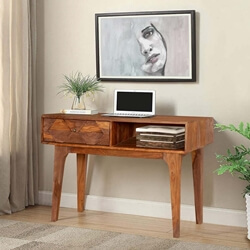 If you’ve got stylistic tastes and prefer entryway furniture that is delicate, artistic, and beautiful, our collection of console tables would be right up your alley. 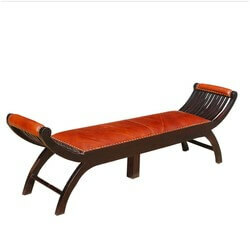 We’ve got every style ranging from neo-classical, vintage, traditional, and modern. 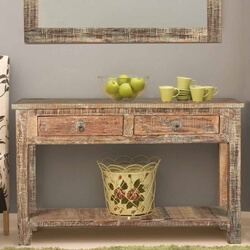 No matter what theme your home is styled in, we’ve got a console to complement it. 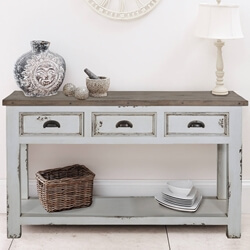 Lastly, if you’ve got the kind of family which takes a lot of paraphernalia in and out of your homes, then our storage benches will intrigue you a lot. Not only are they beautiful in looks, they’re also functionally versatile and offer an abundance of storage space for all sorts of stuff. As you can see, all our entryway furniture is primed for both aesthetics as well as pragmatics. All our pieces are welcoming, attractive, and totally feasible for all sorts of homes, whether big or small – you’ll definitely fall in love with them all!